Last week a team from SP Energy were working to re-route the power lines which currently run across the site. Complaints were made at the time about their parking (blocking access on Chester Road). SP Energy found corrosion and are having to return to complete the work on the 18th December. The big site advertising board has been sited in the wrong place, too close to the houses on Chester Road. It should be at the site entrance and it will be moved. Redrow have acknowledged that they need to keep Chester Road cleaner. Flintshire have not conditioned road sweeping, as we might expect, but they have agreed to do more. Redrow did explain that they have a problem with the site currently. They cannot work with excavators under the power lines and therefore the core site road can’t be finished until the power lines move. Once the power lines are moved, and the road finished, there will be less dirt being driven off the site. Redrow committed to us that they would not start work before 8.00am each day but as many will know that hasn’t been the case. Up until now there has been no permanent site manager but that will change from 3rd December. In January, the site compound and site office will be installed next to the entrance on Chester Road. The site manager will be available there for anyone to talk to if you have immediate questions or complaints. 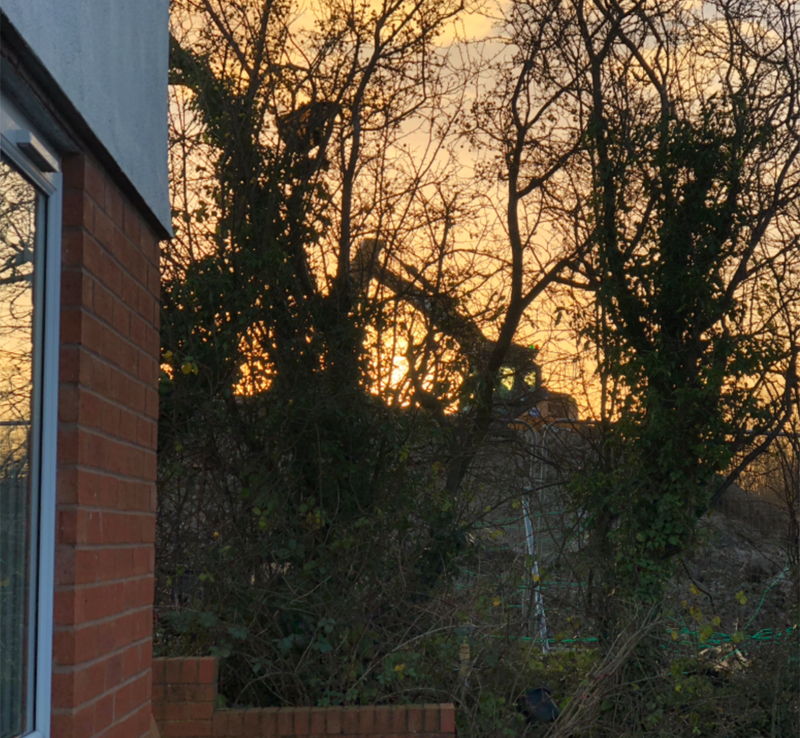 Apparently there is a lot of interest in the site and Redrow are planning to install a sales office in the new year, also alongside the main entrance off Chester Road. The show houses will be constructed first, up the hill from the entrance. We have asked for the plan to looked at to reduce the impact on the residents in St John’s Close, Pleasant View, Hulley’s Close, Gorse Close, Williams Close and Kent Close. Particularly where the adjacent properties overlook existing bungalows. They may be able to swap house designs, garage layouts or positions to minimise the impact. We have asked about bungalows but they are viewed as too land hungry. We have also asked for cross sections for each affected house showing the relative ground levels between existing and new properties. We also asked about locating the MUGA on the White Lion play area rather than within the site for the benefit of future residents and the wider community. We’re not sure if this is possible but Redrow have taken it away. A number of residents whose properties are adjacent to the site. Redrow will be surveying and accurately marking the boundary in the new year. In places the hedgerow has grown unevenly, so if you are concerned, we recommend you get your deeds to be able to evidence your boundary. The surface water drains have been routed down Chester Road (that’s what the traffic lights were for) and into Blackbrook. The foul drains plan has been approved by Welsh Water, they will route via Kent Close into Wellhouse and ultimate to the treatment works down Terrance Lane. We have pointed out how illogical this is, given the historic problems we have had with drains in the village. Redrow are asking the question - we will ask Flintshire the same. We are not aware of ongoing problems with the site traffic, but we have asked for site traffic signage to be installed. The signage is temporary while the works are underway, with the intention that it will be permanent. This is all under the control of Flintshire not Redrow. If anyone has any comments or complaints please get in touch with us and we will try to help as best we can. Is the Co-op in the wrong place (and other comments)? Contact details for business and organisations contained on this website are for information only and in no way intended as a recommendation or endorsement of any business or service.